Solar renewable energy credits (SRECs) are Renewable Energy Credits (RECs) generated from solar power. Renewable energy credits, or RECs, are credits that represent energy created from renewable energy resources, such as the sun, wind power, or hydro generation. One Renewable Energy Credit is created every time one megawatt-hour (MWh) of electricity is produced from an approved renewable resource. 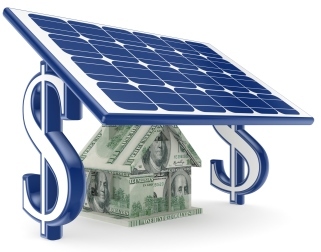 Solar renewable energy credits are important because they are worth money to many homeowners that have installed photovoltaic solar power systems. SRECs have value because many states have adopted Renewable Portfolio Standards that require utility companies to meet specific goals related to producing energy from renewable resources. For example; California’s RPS mandates that 33% of all electricity production must come from renewable resources by 2020. In states that have RPS legislation electricity producers that do not meet the RPS requirements face steep fines. For energy producers that do not own their own clean energy production facilities they can buy credits from other producers in their own state to meet mandated renewable energy requirements. If you are a homeowner that has installed solar panels on your home, you are an energy producer and are creating credits that can be sold to utilities to enable them to meet their RPS goals. Making home solar RECs even more valuable is that in some states and/or jurisdictions the RPSs specify a certain percentage of clean power must be from solar. How Much Are My SREC’s Worth? A SREC’s value varies from state to state based on a number of factors. There is always the good old supply and demand factor; the more SREC’s available on the market the lower the value. There is also the dollar amount of the fine faced by a utility not meeting the RPS requirement. If the fine for a utility company not meeting target goal, also known as Alternative Compliance Payment (ACP), is high, the value of a SREC is also high. The value of a SREC is also somewhat dependent on the way they are sold. SRECs are sold in basically two ways, spot market and by contract. Spot market sales are generally higher but fluctuate widely and can drop suddenly. Contractual sales are generally worth less but the earnings are guaranteed over a long period of time. Many times a homeowner installing a solar system will use their future SREC’s to help finance the cost of their solar panels. SREC’s combined with state and federal tax incentives and rebates can often allow for the home owner to get a solar system installed with absolutely no out of pocket costs and cut their energy bills by up to 50% for 20 years or more. By contacting our Solar Service Consultants we will be able to analyze your home and system requirements to let you know what SREC program as well as any other incentive and rebates you qualify for.